SAN BERNARDINO, Calif. /California Newswire/ — C-PAK Industries, Inc., a leading custom rotational molding company in San Bernardino, recently expanded its team by hiring eight employees through the County of San Bernardino Workforce Investment Board's On-the-Job Training program. "This assistance from the Workforce Investment Board allowed us to anticipate needs and enhance our business growth," said Candice Etchepare, general manager of C-PAK. "In our business, it is challenging to hire in anticipation of increased demand. The Workforce Investment Board's support allowed us to take a risk on new employees, which paid off when our workload increased." On-the-Job Training reimburses employers for a portion of a new hire's wages during an initial training period. The Workforce Board handled the recruitment and screening to identify qualified new candidates which reduced the time and expense of hiring new employees. "The employee pre-screening and recruitment services provided by Workforce Investment Board saved us significant cost in selecting new hires," said Etchepare. "Instead of stressing existing employees, paying a lot of overtime and playing catch up, we hired competent new employees and stayed on schedule. We will continue to work with the Workforce Investment Board for these services." According to Etchepare, the employees recruited by the Business Resource Team showed a stronger desire to work. "The retention rate of employees recruited through this program has been higher than those we have found through many other sources," she said. In addition to its recruitment and On-the-Job Training programs for local business, the Workforce Investment Board's Business Resource Team offers layoff aversion programs and process improvement services that save and create jobs. "Helping local companies like C-PAK grow and creating opportunities for local job seekers is how the San Bernardino County Workforce Investment Board continues to support the local economy and community," said Janice Rutherford, Chair and Second District Supervisor. Additionally the Business Resource Team offers business workshops, access to the On-the-Job Training program and assistance finding job seekers with the right skills. In 2011, the Workforce Investment Board trained more than 3,300 job seekers to enter careers in high-demand industry sectors and the Business Resource Team visited and established relationships with more than 2,800 local businesses. "The Workforce Investment Board's partnership with C-PAK is a great example of how we can serve businesses in this county," said Sandy Harmsen, Executive Director of the Workforce Investment Board. "Combining On-the-Job Training funds and human resources support is an effective way to help local businesses grow, retain employees and recruit qualified job-seekers." For information on upcoming WIB training classes and programs, contact the local Employment Resource Center or call (800) 451-JOBS; visit http://www.csb-win.org/ . C-PAK Industries is a custom rotational molding company that opened in San Bernardino, Calif. in 1999. C-PAK came into existence because customers needed a rotational molder solely dedicated to servicing the needs of companies that outsourced their rotationally molded products. They needed a molder that focused on the quality of product, reliability of delivery, and cost competitiveness that would let them gain and keep the competitive edge in their respective industries. C-PAK Industries believes that excellence in manufacturing will assure its position as the supplier of choice for its customers. For more information, visit the C-PAK website at http://www.c-pak.net/ or call 909-880-6017. The County of San Bernardino Workforce Investment Board (WIB) is comprised of private business representatives and public partners appointed by the County of San Bernardino Board of Supervisors. The Workforce Investment Board strives to strengthen the skills of the County's workforce through partnerships with business, education and community-based organizations. The County of San Bernardino Board of Supervisors is committed to providing county resources, which generate jobs and investment. The Workforce Investment Board, through the County of San Bernardino's Economic Development Agency and Workforce Development Department, operates the Employment Resource Centers (ERCs) and Business Resource Centers (BRCs). The ERCs provide individuals with job training, placement and the tools to strengthen their skills to achieve a higher quality of life. The BRCs support and provide services to the County's businesses including employee recruitment. Employers and job seekers who are interested in the Workforce Investment Board programs may call: (800) 451-JOBS or visit www.csb-win.org. Also follow us on: Facebook www.facebook.com/SBCountyWIB – on Twitter @InlandEmpireJob – and YouTube http://www.youtube.com/SBCountyWIB . Copyright © 2013 CaliforniaNewswire® and Neotrope®. 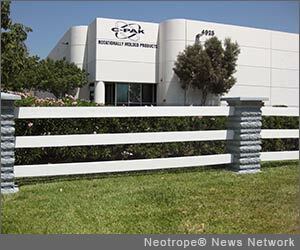 California Newswire is a publication of the Neotrope News Network and a U.S. reg. TM of Neotrope.